Those of you who are researching ancestors who came from Poland may benefit from the articles in this new resource. I discovered it in the McFarland booth at the American Library Association Midwinter meeting in Dallas earlier this month. The articles are concise, signed by the expert who authored them and list a few sources on which the author relied. The "Kashubs" article caught my attention because it is likely that my wife's maternal grandmother was a member of or at least closely associated with this ethnic group. That article confirmed much of what we had learn about Kashubians--both in Europe and in Chicago. It also filled in gaps in our knowledge. 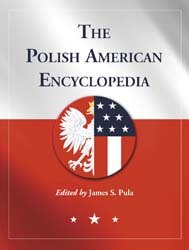 Professor James S.Pula, who edited The Polish American Encyclopedia, also edits the scholarly journal Polish American Studies. The book contains 358 photos in its almost 600 pages. At $145 it is pricey for most family historians unless extensive Polish research is being conducted. However it is well worth checking WorldCat.org to find if a library near you owns this work. If none does, you may wish to suggest it for purchase. 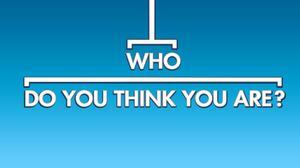 The third season of "Who Do You Think You Are?" debuts on NBC Friday night February 3rd at 8 PM Eastern and Pacific time and 7 PM Central. The popular show tells the family history of a popular celebrity each week. This year the stars to have their ancestries chronicled are Martin Sheen, Marisa Tomei, Blair Underwood, Reba McEntire, Rob Lowe, Helen Hunt, Rita Wilson, Edie Falco, Rashida Jones, Jerome Bettis, Jason Sudeikis and Paula Deen. Both genealogists and celebrity watchers will want to tune in. Labels: Blair Underwood, Edie Falco, Helen Hunt, Jason Sudeikis, Jerome Bettis, Marisa Tomei, Martin Sheen, Paula Deen, Rashida Jones, Reba McEntire, Rita Wilson, Rob Lowe, Who Do You Think Your Are? This development can be a very healthy development for those seeking to use DNA testing to identify distant cousins. However, this diversity of testing will, at least temporarily, further divide those who have tested at one lab from those who have tested at others. The main value of any kind of DNA testing for genealogical purposes is to be able to compare the results with others who have tested. If each lab maintains a proprietary database of its results it is very difficult for most genealogists to make meaning comparisons and to potentially make matches with those who have tested at other labs. Utilities that allow user friendly and meaningful comparisons of individuals, independent of which lab did the testing, will become increasingly important as the number of labs offering such tests increases. Such tools to compare results between laboratories will eventually emerge. However, testing companies may not see it as being to their competitive advantage to provide them. Consumers need to encourage the development of such tools -- whether they are provided by the testing companies or by independent entities. As many of you may know, the DNA testing company 23andMe was formed primarily to provide customers with information about markers which might have an impact on health conditions. In February 2010 the company was the first to offer autosomal DNA testing to the masses when it introduced its Relative Finder product. Two months later Family Tree DNA introduced its Family Finder product. These two are still the premier, direct-to-consumer, autosomal DNA testing companies. remains the premier company for Y-chromosome testing. The company offers the most extensive test to consumers--up to 111 markers. Equally important the company has the largest database against which comparisons can be made. Mitochondrial DNA testing first became meaningful to genealogists when Family Tree DNA introduced its test of the full mitrochondria at an almost affordable price in 2009. Both sexes can test and the maternal line is what is followed by the results. This test result is even more stable over the centuries on a direct maternal line than is the result of a Y-chromosome test along a direct paternal line. Autosomal DNA provides information about all a person's ancestral lines--not just the direct paternal and maternal lines. However, that information only matches relatives who share ancestry within the last few generations. The probability that one would match with a given distant relative, who also has tested, can be seen in my prior blog post. 23andMe recently experienced it's own "Netflix Moment". Those of you who are somewhat familiar with DNA testing may know that 23andMe offers two pricing plans for genetic genealogy customers. One is a subscription plan that cost $99 but comes bundled with a $9 per month fee. The other option is a flat rate charge of about $400. This test provides both genealogical and medical information. 23andMe originally started DNA testing to provide medically relevant information to its clients--especially those suffering from or at risk for Parkinson's. Autosomal DNA testing for genealogy matching was added in February, 2010. Recently, 23andMe announced that it was pulling the plug on those customers who had not continued their subscription after the mandatory first year of membership. The way in which this was to be done not only would have denied those customers access to their results, it would have denied continuing customers the ability to continue to see their matches with former members who had chosen not to continue their subscriptions. This announcement was greeted by a great outcry from genetic genealogists--much of which was circulated on the listserv of the International Society of Genetic Genealogy (ISOGG). Cece Moore, who blogs as Your Genetic Genealogist, was one of the leaders of the charge to convince 23andMe that this policy was not in the interest of its customer base of genealogists and therefore not in the interest of 23andMe. Let me begin by acknowledging that there are many things we could have done better over the years and there are especially things we could have done better with this recent incident involving the changes to our subscription. Anne also announced that she will be in contact with Cece Moore and others in the genealogical community to insure that the changes will be family history friendly. I'm sure Cece will be keeping us updated on her blog as this process develops. I am proud to say Cece will be my co-author on my next book project.